One of the most used types of siding in Michigan is vinyl siding. Vinyl siding has been around for about 4 decades and has become one of the most common siding choices because of it’s durability and appearance while remaining at a price point that is usually less than any other siding. 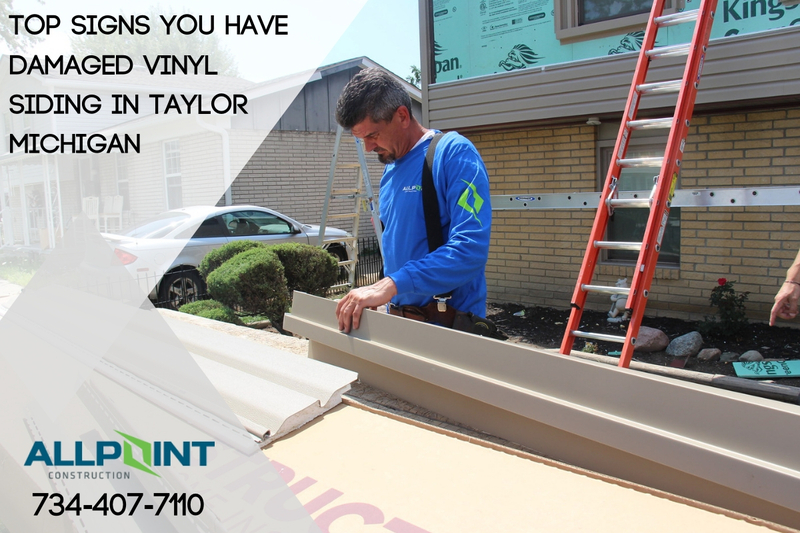 And while vinyl siding will last a long time it does start to break down over time and many home owners don’t even realize that they need new siding in Taylor Michigan. We’ll include some of the problems that may occur if your vinyl siding is starting to fail in this post. When there is a problem with your home’s siding it can lead to many problems. Not only will the appearance of your home suffer from siding that is failing but also some of the structural components. You may even have mold growing behind the siding as well which can be unhealthy. What really makes failing vinyl siding problematic is that it usually fails over time. So a small problem with the siding will start to get bigger and bigger and have more and more problems as time goes on. When you find a problem with your home’s siding in Taylor Michigan it is always best to call a siding contractor to replace or repair the siding quickly before more damage can occur. As the vinyl siding on your home gets older it starts to become more brittle and loses flexibility. This occurs in winter as well which can make the siding more susceptible to cracking. Once a crack appears in the siding it will usually grow as the siding expands and contracts each day with the heat of the sun shining down on it. The siding may also start to gap which allows water to get behind the siding. All water should remain on the external surface of the siding and if your have water behind the siding on your home then there is a problem. Sometimes problems occur and they need repairs to the siding. Maybe you get an outdoor grill too close to the siding and it melts a bit of the siding. Maybe your playing baseball with your kid and the ball gets away and breaks a piece of the siding. When these conditions and accidents happen getting your siding repaired can remedy the problem. But if you’re constantly needing siding repairs from the siding failing on it’s on then you may need to consider getting the siding on your home replaced. Once the siding on your home starts to warp and buckle then getting it replaced is a likely scenario. When the siding starts to pull away from the home it can also pull fasteners away from the home which are in place to hold the siding. Failing to install the siding with the proper clearance can also cause this problem. In either case, if you notice the siding on your home starting to buckle and warp then it may be time to get new siding installed on your home. Siding manufactured today has a protective layer that blocks much of the UV rays of the sun which can cause it to fade and yellow. However, if your home’s siding is more than 10 years old it may not have this protection. Lower quality vinyl siding also may not have this protection in place. If you notice your home’s siding starting to yellow or fade then it may be starting to break down due to UV rays. Replacing the siding with newer, higher quality vinyl siding can remedy this problem. As I mentioned above, water should never be present behind the siding. Usually when water starts to get behind the siding it can cause damages to the home exterior walls. Another common problem when the water remains long enough is mold starting to grow behind the siding. If you notice water or mold behind your home’s siding be sure to get it checked as soon as possible. Have a problem with your home’s siding in Taylor Michigan? 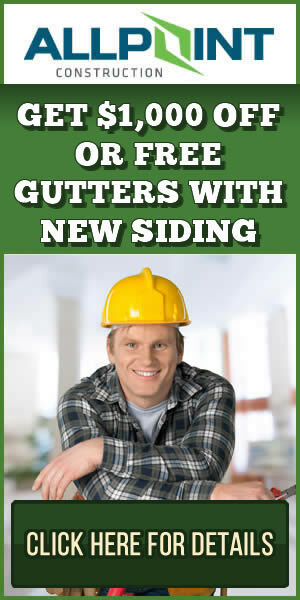 Be sure to call the siding experts at All Point Construction for a free estimate on new siding. They are a fully licensed and insured home improvement contractor in southeastern Michigan. Call today at (734) 407-7110 for a free quote!